It is 25 years since the 1991 Gulf War when British troops contributed (OP GRANBY) to the successful Allied operation which prevented Saddam’s invasion of Saudi Arabia (DESERT SHIELD) and then liberated Kuwait (DESERT STORM). Capt Tim Purbrick commanded a Troop of Challenger Main Battle Tanks during the 1991 Gulf War. This blog is written from his diaries, notebooks and a tape recording he made during the war. The blog will follow his work up to the war, through training and deployments and then the war itself, day by day, twenty five years on. If I had been following family tradition I should have been a Grenadier Guard and won a Distinguished Service Order and a Military Cross in a major conflict. My father was a Grenadier for his National Service. 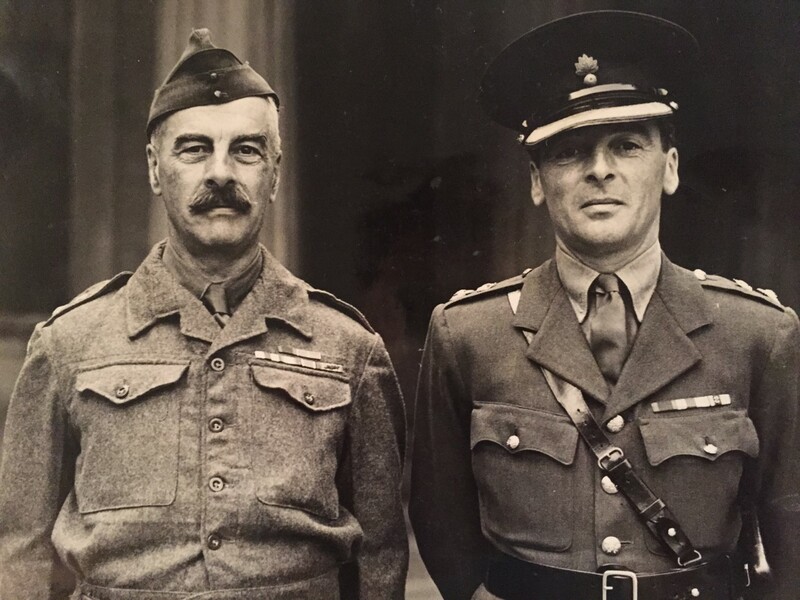 My great uncle commanded a Battalion of the Grenadiers in the Second World War during which he won a DSO and an MC. My great grandfather commanded a Battalion of the Grenadiers in the First World War during which he won a DSO and MC. My uncle, my father’s youngest brother, had been the first to buck the tradition. He joined the 17th/21st Lancers, the most junior cavalry Regiment with the finest cap badge, which we call the motto, in any Army. This became the Regiment that I was brought up with. The motto, a skull and crossbones with the banner ‘Or Glory’ draped over the bones, derived from the defeat of the French at Quebec in 1759 and the death of the British Commander, Major General James Wolfe, killed by a French marksman at the point of victory. Shortly before he was killed Gen Wolfe ordered one of his staff officers, Colonel John Hale, to return to England and inform the King of the victory. The King ordered Col Hale to raise a Regiment of Light Dragoons in memory of both the victory at Quebec and the death of Gen Wolfe. Col Hale chose the death’s head to represent the death of Gen Wolfe and the banner ‘Or Glory’ to represent the victory at Quebec. For Gen Wolfe it was Death and Glory but his legacy was a Regiment, nicknamed the ‘Death or Glory Boys’ or the Tots (an abbreviation of Totenkopf or Death’s Head given to us by the Boers). ‘Death and Glory’ would have been too grim a motto to take forward. ‘Death or Glory’ at least offered a way out. Die trying or bloody well win. After leaving school I attended Officer Selection at Westbury in Wiltshire and passed. This made me eligible to attend the Royal Military Academy Sandhurst after I had completed my degree. Sandhurst was a six month messabout after four years at University. As graduates, known then as Communists, we were housed in Victory College which can only be described as a monstrous carbuncle. It remains a concrete fortress to this day. Day One at Sandhurst was a lot of being run around in our suits learning the layout of the Academy under the guidance of Colour Sergeant Ross who we came to know as Stavros, short for Staff Ross. The first five weeks of the course are designed to weed out the weak and the Walts. It ended with a 30km march across the Elan Valley in mid Wales. The revelation of this experience was that those who had appeared less physically able actually had cores of steel. A spindly Welshman ended up carrying the radio – a militarily useless block of low grade, and heavy, metal non-technology – for most of the time because the rest of us couldn’t cope with the additional weight. Changing parades were a penalty fixture for various types of offence at the Academy. On a morning inspection I was picked up for ‘fluff on beret’. As I was due in London that evening for a night out I had to ring my friends and explain that, because of ‘fluff on my beret’, my pleasure that evening would not be dinner in town but mindlessly charging up and down the stone stairs of Victory College, changing uniforms at least five times at the behest of Colour Sergeant Poulter of the Parachute Regiment, our Company Quarter Master Sergeant. 2nd Lt. Tim Purbrick on the Troop Leaders (Armoured) course in the Officers’ Mess at Lulworth Camp in Dorset. We turned up in Number 1 Dress – smart blues. ‘Get away,’ shouted C/Sgt Poulter with a half smile having inspected us, ‘PT gear. Five minutes.’ And so it went on, for an hour or so. The rest of the evening was spent cleaning up the chaos of five changes of kit which had to be immediately re-pressed and put away for the next morning’s room inspection. After just six months of being run around like a headless chicken it was up the steps of Old College to become a junior subaltern in the 17th/21st Lancers. The next six months were spent on Special to Arm training. For a cavalry officer this meant six months in south Dorset and Wiltshire. Learning Gunnery skills at Lulworth Camp, the Signals, Driving and Maintenance and Tactics at Bovington Camp and a final exercise on Salisbury Plain in Wiltshire. The first time I sat on the commander’s seat in a Challenger Main Battle Tank was on the ranges at Lulworth and the tank next to mine on the firing point fired its main armament. I thought that one of the other tanks must have blown up such was the concussive effect pushing down on my head from the 120mm tank gun firing from the tank next door. God knows, I thought, what it must be like at the receiving end. The Officer’s Mess at Lulworth looks across to Arish Mell Gap. It was a balmy summer to be based in Dorset. 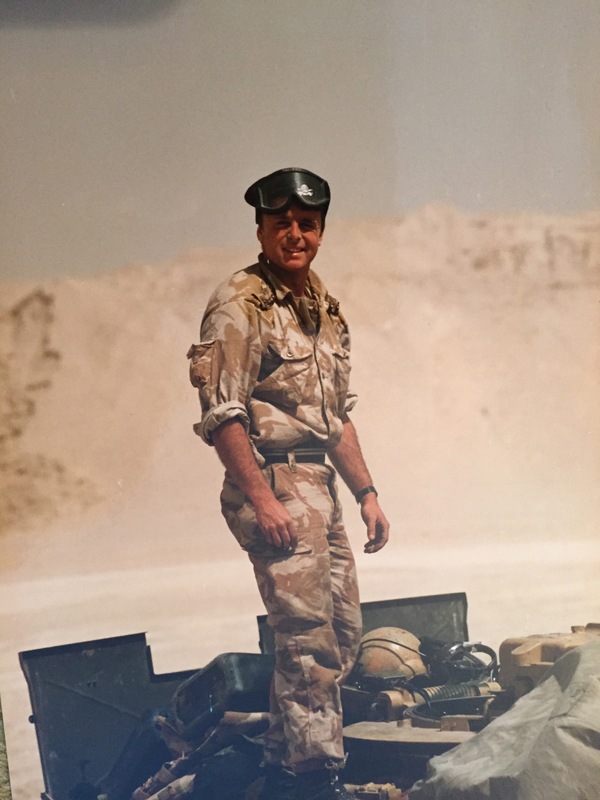 This entry was posted in Army and tagged 1991 Gulf War, British Army, Desert Shield, Desert Storm, Gulf War 1, Iraq, Kuwait, Troop Commander. Bookmark the permalink. Excellent reading….looking forward to the next instalment…..